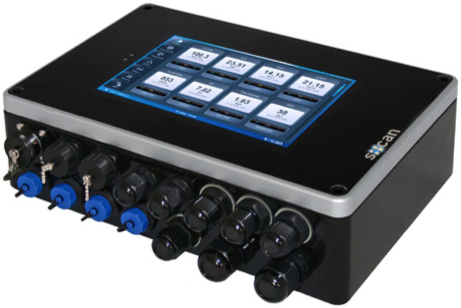 The con::cube is a compact, versatile terminal for data acquisition and station control. The newest processor technology, and flexible options for interfacing to SCADA or any central database system, makes the con::cube a powerful terminal for compact station control. The extended input options for almost any sensor, analyzer and other analogue or digital I/Os result in comprehensive signal monitoring, processing and data management. Due to its low power consumption this terminal fits the requirements for the operation in remote installations powered by solar panels. Plug & play operation of 4 s::can sensors standard; unlimited number of sensors optional. For more information download the con::cube brochure.